Blended from the data of various poisonous plants, it is a Plant Digimon which has the form of a flower bud. Usually, it drifts through the air carried by its leaf, and doesn't attack as long as nothing happens. Its Special Move is its "Dokutogetoge", which are painful if touched. If it gets angry, it can also fire off the thorns. n., In this context is the undeveloped shoot of a plant. Anime/Manga Digimon Savers: "The Singing Voice that Calls Upon a Miracle, Evolve Lilamon"
San no Awa  Acid Bubbles さんのアワ N/A Frothy Spit Shoots slightly acidic bubbles from its mouth. Budmon is the partner of Fujieda Yoshino. 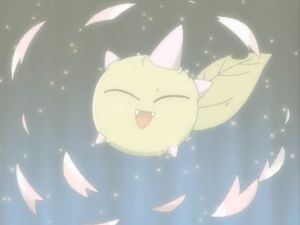 Budmon hatched from its DigiTama after Yoshino played a specific music on her Piano. Can evolve to Lalamon, Mushmon or Dokunemon. 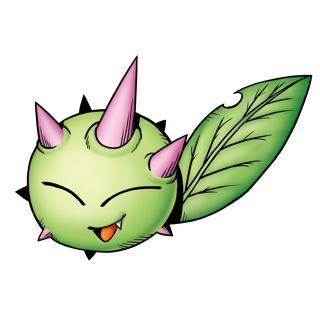 Budmon is an obtainable Digimon which is evolved from Yuramon, and can evolve to Gomamon, Hagurumon, Lalamon, Piyomon, or Tentomon. It can also be obtained as a collectible card. Budmon is available as a Digimon Medal. Budmon is available as a Digimon Card. Evolves from Botamon. Can evolve to Agumon, Gaomon, Lalamon, Toy Agumon, or Tyumon. This page was last modified on 11 March 2019, at 22:00.